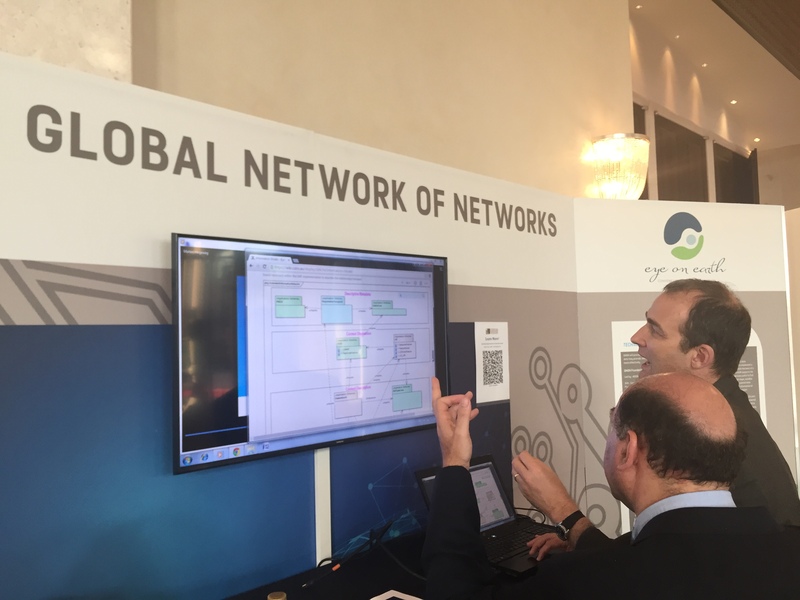 Eye on Earth Summit: Data Demand – from whom and for what? The Eye on Earth does not disappoint, with over 600 delegates representing different sectors of the information infrastructure. The first day of the summit was filled with where the data is needed most, from whom and best practices. However its worth noting, the irony of a summit focused on reinventing the information pipeline is that there is an incredible amount of information on information, you could almost say a meta-information pipeline. 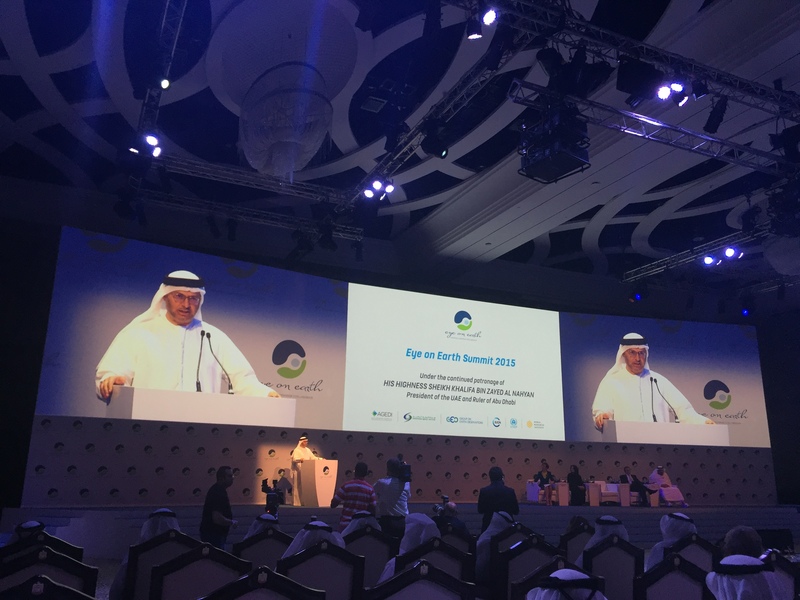 There is no doubt, the Eye on Earth Summit has focused at least one eye on citizen science as a way to merge civil society, government and business to generate crucial environmental data across local, regional and global scales for informed decision-making. The opening plenary was graced by leaders from the United Arab Emirates such as, H.E. 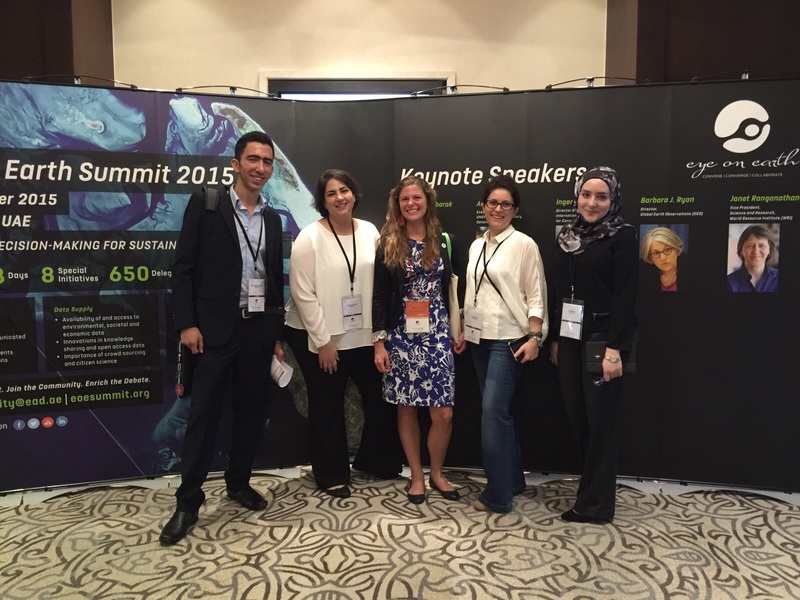 Razan Khalifa Al Mubarak of the Abu Dhabi Environment Agency and H.E. Anwar Gargash the Minister of State for Foreign Affairs followed by leaders from the Global Environment Facility, Global Footprint Network, Planet Labs and closed with a moving address from Pierre-Yves Cousteau on the future of oceans. Each speaker, in one way or another, mentioned citizen science as a key component to the data infrastructure that will inform environmental decision making and monitoring of the Sustainable Development Goals. Costeau announced the launch of the Hermes Project which aims to literally take the temperature of the ocean using the dive computers on scuba divers to create a dynamic data stream in real time of the ocean temperature, complimenting existing satellite and buoy data. Strategic investments by the Emirate government demonstrated their commitment to building robust data platforms that incorporate the physical, social and economic indicators for decision-making. Examples of this are the Abu Dhabi Global Environmental Data Initiative, a comprehensive project monitoring the UAE’s environmental indicators with a component focused on civic society input. Mathis Wackernagel, president of Global Footprint Network, provided an metaphor comparing the economy to piloting a plane, in which pilots have protocols, sensors and fuel indicators that ensure they have everything they need to take off and land without incident. Quite like a plane, our economy needs these sensors and fuel indicators if we are to remain in balance between our biocapacity (natural resources) and our ecological footprint (use of natural resources) – of which Global Footprint Network aims to provide the indictors. There are hundreds, if not thousands, of sensors on a plane that provide the pilot with information that she can use to inform her action. The good news? With mobile phone proliferation we have more than 7 billion sensors in every corner of the earth to provide us with a part of the information puzzle we need for accurate sustainable development. A real success story was Robbie Shingler of Planet Labs, who brought the public good ethic of NASA’s open data and innovation in space to his company Planet Labs in the effort to democratize access to real-time geospatial data at unprecedented scales. To date they’ve launched 101 satellites, developed an autonomous work flow and created substantially smaller satellites which allows for incredible scalability. Shingler ended with announcing Planet Lab’s commitment of $60 million US dollars to create the first open geospatial country, stay tuned as they decide which country to partner with for this initiative. Interspersed throughout the talks were captivating and emoting videos that expressed themes of shared responsibility, closing the data gap and equipping policymakers and decision makers with high quality and real-time data. Perhaps the talk that reframed the information paradigm the best was Achim Steiner, executive director of UNEP, who began with an image of the pale blue dot 40 years ago and our united realization that we live on such a fragile planet. Steiner noted that the age of understanding the environment as an add on is antiquated and being replaced with an understanding of the environment as the foundation for our survival. This reinvention of our economic infrastructure, with the environment as our foundation, will not come easily, but Steiner closed with this quote: “the best way to make dreams come true is to wake up” and the Eye on Earth is that wake up call. The day continued with incredible panels which ranged from “Donors demand for data”, “Measuring progress of sustainable development goals” and “Building knowledge to provide for healthy lives.” The “Data for policy making” panel provided fascinating insight on what policy makers want and need in terms of quality and actionable data in order to make informed decisions. Marcos Silva, secretariat of CITES, highlighted a citizen science data quality learning opportunity through studying how local police departments, who are the intermediaries for citizens reporting illegal animal and plant trade, handle judgement, accuracy and relevancy of these reports. These police departments are adept at filtering and judging citizen provided data points and communicating it to coordinating agencies such as INTERPOL. A lot of lessons could be learned from studying the information pipeline of illegal species trade. Another theme from the data for policy making panel was collaboration and coordination in funding frameworks. If we want to envision a sustainable and interoperable “Eye on the Earth” data infrastructure then we must ensure that nations are funding complementary data projects. Large investments must be made in data centers and servers (infrastructure), longevity and sustainability to detect trends and supporting researchers open data initiatives with a framework for creating machine-readable and interoperable platforms for sharing data. Lastly, in the international standards realm, Silva noted that we must ensure a strong public-private partnership because a data behemoth like Google could come along and push their own information standards which could be fundamentally incompatible with public datasets. After a long day of pitches, visualizations and catalyzing conversations Jacqueline McGlade, chief scientist of UNEP and citizen science advocate, brought the day to a close at the gala dinner. McGlade presented the Eye on Earth winner of the Data Visualization challenge to Airscapes Singapore. Airscapes used citizen scientists, equipped with air quality sensors linked to their smartphones, to provide real-time AQ data to inform people of the healthiest transit routes in Singapore. The team plans to to expand to San Francisco and Beijing. Its worth going back to Steiner’s metaphor of Eye on Earth as waking up from a dream. The dream is easy: a reliable, relevant and global network of environmental information accessible and digestible by all. But quite like an early morning alpine start, this dream will require getting rid of the snooze button and getting up. The Eye on Earth Summit is doing just that right now. This summary has been written by Rohin Daswani, who is Research Assistant with the Commons Lab at the Woodrow Wilson International Center for Scholars. The paper Privacy in Participatory Research: Advancing Policy to support Human Computation by Anne Bowser and Andrea Wiggins explains the important role played by privacy and privacy related policy in participatory research activities. The participatory research activities focused on in this paper are Citizen Science and Participatory Sensing. So what is Citizen Science and Participatory Sensing? Citizen Science (CS) is the involvement of volunteers in scientific research , which allows scientists to gather and analyze larger and more diverse data by using volunteers to crowdsource the data collection . In contrast Participatory Sensing (PS) uses mobile devices and phones to create interactive, participatory sensor networks that enable public and professional users to gather, analyze and share local knowledge. The applications are especially designed to provide direct utility to participants and external parties such as researchers. The ethical implications of their findings for project management, design and research are plenty. The Belmont report suggests that research participants should be informed about the risks and benefits involved in participation. However, most projects did not inform participants about the types of information collected during registration and data collection nor how the information will be used. They either omitted the information or presented it in a confusing manner. These practices are contrary to respect for persons and participant primacy. Transparency is also a major legal issue that Bowser and Wiggins touch upon. They conclude the paper by proposing a set of ethical practices for Participatory Research Design as guidelines to inform the development of policies and the design of technologies supporting participatory research. They suggest that project leaders should incorporate Ethical principles for Participatory Research Design into their decision-making process when establishing or revising policies and practices. Working with these principles will remind both project leaders and technology developers of the fundamental importance of respectful relationships with volunteers, without whom project goals cannot be achieved. This is just a summary of the paper. To access the entire paper click here. 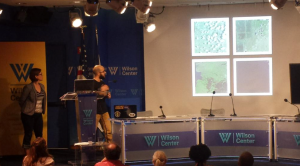 On July 9th & 10th, 2015, the Wilson Center’s Commons Lab in coordination with the U.S. Environmental Protection Agency and the Federal Community of Practice on Crowdsourcing and Citizen Science, hosted a Citizen Science & Crowdsourcing Metadata Workshop. Four databases of citizen science and crowdsourcing projects — SciStarter, the Citizen Science Association (CSA), CitSci.org, and the Woodrow Wilson International Center for Scholars (the Wilson Center Commons Lab) — are working on a common project metadata schema to support data sharing with the goal of maintaining accurate and up to date information about citizen science projects. The federal government is joining this conversation with a cross-agency effort to promote citizen science and crowdsourcing as a tool to advance agency missions. Specifically, the White House Office of Science and Technology Policy (OSTP), in collaboration with the U.S. Federal Community of Practice for Citizen Science and Crowdsourcing (FCPCCS), is compiling an Open Innovation Toolkit containing resources for federal employees hoping to implement citizen science and crowdsourcing projects. Navigation through this toolkit will be facilitated in part through a system of metadata tags. In addition, the Open Innovation Toolkit will link to the Wilson Center’s database of federal citizen science and crowdsourcing projects. These groups became aware of their complementary efforts and the shared challenge of developing project metadata tags, which gave rise to the need of a workshop. The results of the workshop included 30 fields describing citizen science project metadata (found in the Workshop Summary Appendix). 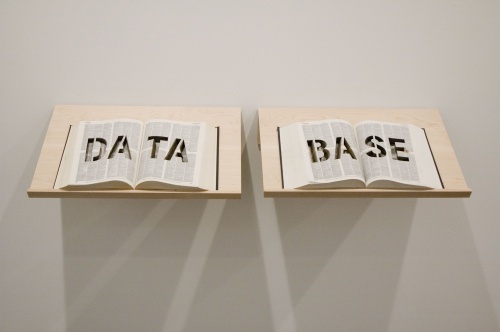 Seven of the fields will be applied in a demonstration of data sharing between the four databases. 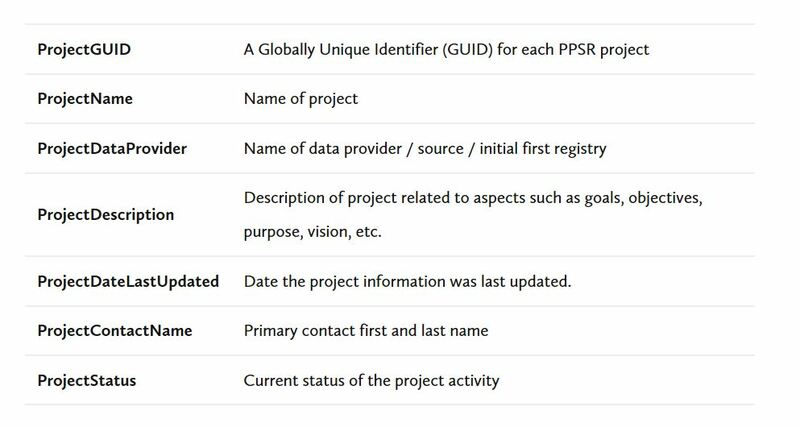 However, the current list of project metadata tags requires expansion, especially around concepts related to crowdsourcing. This publication is a summary of the results from the workshop and a definition of the collaboration moving forward. Click on this link to download the file. Where: The Shine Dome, Canberra, Australia. The Australian Citizen Science Association Conference is currently being held in Shine Dome, Australia. This annual conference brings together the global and Australian citizen science community to share skills and ideas and encourage collaboration amongst citizen scientists. In fact, the Commons Lab’s very own Anne Bowser is there right now presenting some of her recent work. The conference bring together Australian and international experts to better understand best practices needed to create and deliver successful citizen science projects. Some of the presentations and workshops at the conference directly tie policy and citizen science together, while others aim to inspire communities around the idea of citizen science and its benefits. Australia is a megadiverse country, with an extremely high level of endemism in its native species. Despite being a wealthy first world nation, many of our species are highly data deficient. Australia’s governments do not list threatened species that are data deficient, and do not provide them with protection. As a result of this, many of Australia’s threatened species are not protected because we don’t know enough about them. Citizen science has the potential to address this issue through a variety of approaches. This talk will discuss some areas that are in desperate need of attention and some of the ways in which citizen science may be employed to assist filling in these knowledge gaps. Sanderson’s talk is a perfect example of how citizen science can be used to not only fill in knowledge gaps that exist in certain areas of study but also to effectively protect the environment and different communities. One of Bowser’s talks takes a different approach. Her talk “Introducing PPSR_CORE: Standardizing metadata to support a growing community” will focus on creating a collaborative endeavor to share data and metadata about citizen science projects. Bowser argues that using PPSR_CORE as the standardizing protocol will facilitate easy and standardized data sharing. Such a standard will also develop a common vocabulary for discussing the different components of citizen science and will encourage greater collaboration in the community. But these are just two of the many interesting talks and workshops that are taking place at the conference. If you were unable to make the trip down under, you can read more about the myriad presentations here. 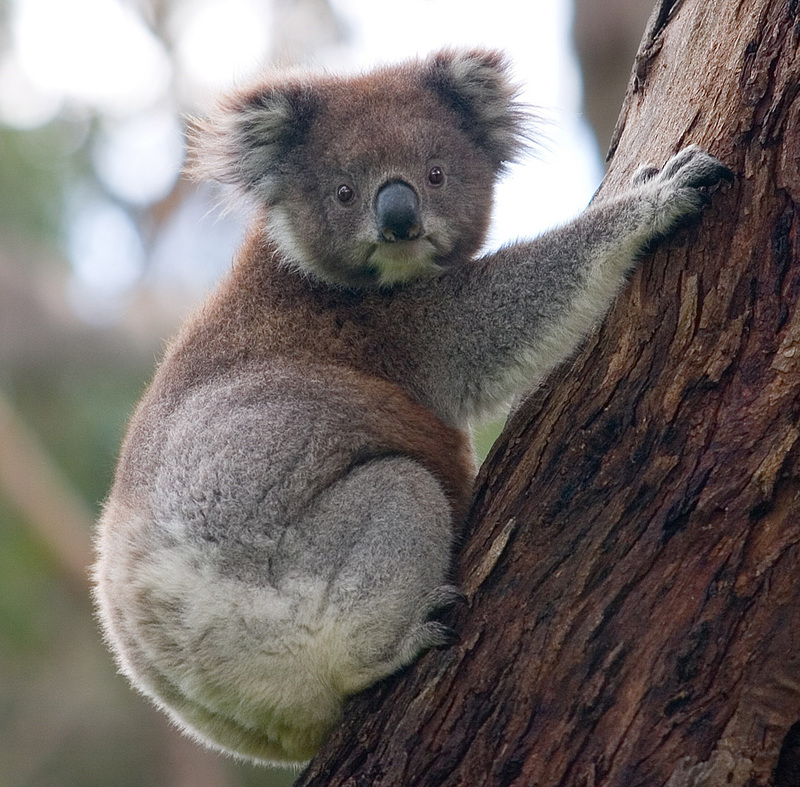 The koala is a threatened species in Australia. Chris Sanderson argues that citizen science could provide better protections for koalas and other threatened spices. This post was written by Rohin Daswani who is a Research Assistant with the Commons Lab in the Science & Technology Innovation Program (STIP) at the Wilson Center. This post was written by Rohin Daswani who is a Research Assistant with the Commons Lab in the Science & Technology Innovation Program (STIP) at the Wilson Center. It is a personal reflection offered as a form of participant observation in a hackathon. A Climathon is a global 24 hour hackathon style climate change event in which participants develop innovative solutions to a predefined challenge and work collaboratively to implement it. 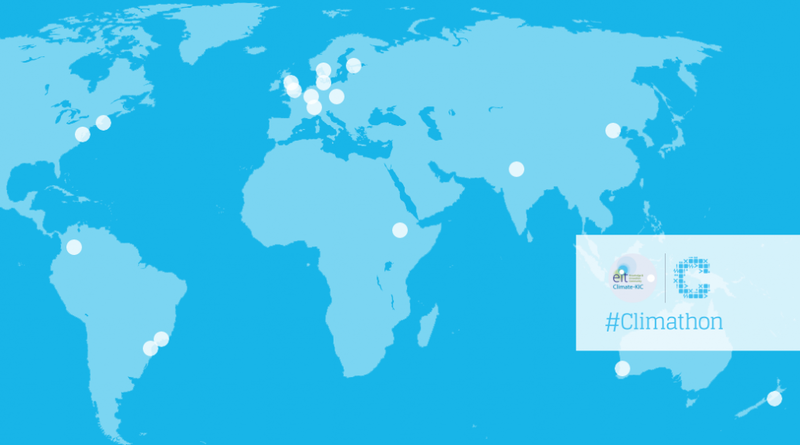 The 2015 Climathon was simultaneously held on the 18th of June in major cities around the world, which included Beijing, New Delhi, Addis Ababa, Rio De Janeiro, Perth and many more. Hosted by George Washington University, the Climathon is an initiative of the Climate-KIC. The DC event brought more than 30 innovators, entrepreneurs, and hackers together. The event was co-sponsored by the GWU sustainability office, and had corporate sponsors such as Coca-Cola, Roti and Bertucci’s who provided the food and drinks. The challenge we had to address was: How can public-private partnerships reduce food waste/loss generated by the DC’s residential or commercial sectors? The winning team would work with the city over a 6 month period to make the idea implementable and then travel to Paris in December to showcase it at the UN COP21 on Climate Change conference. 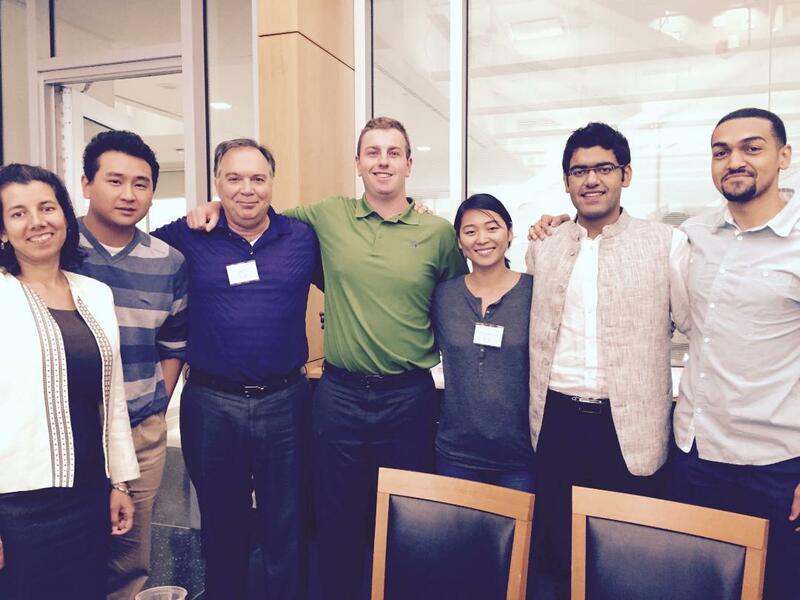 The Climathon was well organized and brought a diverse array of individuals together. It started off with a copious amount of information about the DC food waste problem and the current problematic systems in place to address it, which helped streamlining, narrowing and directing our thinking. After a brief presentation on Public-Private Partnerships, we were ready to move on to the fun part. We did an exercise in which each of us put our ideas in 2-3 words and read it out to the entire group. People with similar ideas came together to form a team and that’s it, the process was that easy. Once the groups formed we began a 10 minute rapid iteration phase in which groups received feedback and iterated through their idea to improve it. Creating public private partnerships that would make our business sustainable. Good! It was 9pm and our team at least knew where we wanted to go. We spent the remainder of the night hashing out the details and implementation. The next morning when we came together it was unbelievable how quickly we put together a 10 minute presentation for the judges. At the end, our team was selected to be one of the four finalists to work towards implementing their ideas. What we hope to accomplish is, building a detailed business plan outlining the revenue and expense streams and then forging partnerships with NGO’s, restaurants and grocery stores which would validate our idea and lastly, secure funding to run a pilot. The company would be called Raw Food Rescue, which is a logistics management public-private partnership devoted to rescuing and repurposing raw food resources within the DC area. Our services would include sourcing from the commercial sector, partnering with non-governmental organizations for transportation needs, and connecting the dots for end-user consumers. By leveraging the power of public-private partnerships we will be able to create jobs in local communities, with target groups including veterans, elderly, and disabled individuals. By diverting raw food waste from landfills, we reduce harmful methane emissions. Our services will help DC reach its zero food waste goal and address global climate change. May 28, 2015 • [By Clare Skelly, NASA Goddard Space Flight Center] A hack transforms something to serve a new purpose, and sometimes simultaneously solves a tricky problem. Science Hack Day, a two-day all-night event, encourages people of all ages to think creatively about science topics. More than 50 of these “hack-make-do-a-thon” events have occurred in 17 countries. The Wilson Center and John F. Kennedy Center for the Performing Arts in Washington, D.C. hosted the first Science Hack Day event on May 16-17, 2015. After learning about various topics attendees brainstormed hacks and formed groups. “Some people just got on the stage and said, ‘this is what I’m working on, if you think it’s cool you should come work with me,’” said David Lagomasino, a scientist at NASA’s Goddard Space Flight Center in Greenbelt, Maryland. The free-to-attend event started with several “lightning talks”: five-minute talks meant to provide diverse subjects to explore and consider when brainstorming hacks. In his lightning talk Lagomasino proposed a challenge to help study deforestation by linking satellite imagery and ground-images gathered via crowdsourcing. The topic relates to Lagomasino’s work at Goddard, where he uses satellite data to create 3-D reconstructions of mangrove forests. He kept the short talk open-ended, hoping to spark hacker’s ideas about forest monitoring. Other talks included connecting sensors to dance performers and developing a method to sample leaves from the tops of trees. The middle portion of the event was loosely structured, allowing groups to work on their hacks. Some developed prototypes while others compiled presentations to explain their idea. Several attendees stayed through the night and continued hacking. This wasn’t Lagomasino’s first hack event. He has hosted and judged similar competitions since 2012. Unlike the others, D.C.’s Science Hack Day linked science and art. The art component inspired Lagomasino to, for the first time, create his own hack to help the visually impaired understand satellite imagery. The prototype program sounds a chord that plays three notes simultaneously using pixel values from various Landsat bands for each geographic location on the image. “I took this opportunity to learn a new language,” Lagomasino said. He and his fellow group member, Tracey Bell, created music chords using different bands of Landsat 5 data. Landsat 5 is one of the satellites in a joint NASA/U.S.Geological Survey program that provides the longest continuous space-based record of Earth’s land in existence. Lagomasino and Bell took a Landsat image of the Florida Everglades and pulled sounds of water, undeveloped land and urban areas. “We brought another audience to this data, such as the visually impaired who can’t necessarily see the change but can now hear the change of deforestation.” The hack, titled: “If no one hears it,” won the best use of data award at the competition. Participants produced 14 different hacks ranging from “LickitySplit,” which 3-D prints and analyzes spit, to “PoliConnect,” an online forum where lawmakers and policy experts can anonymously connect to ask and answer questions. Science Hack Day results in more than the hacks themselves. “The act of putting these ideas together and talking with people you probably would never talk to about these issues is unique,” said Lagomasino. 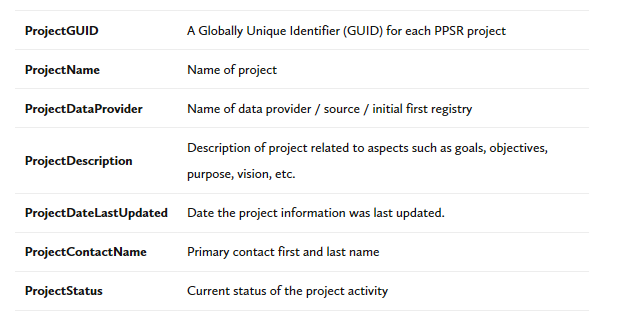 The PPSR_CORE data model is an agreement detailing common project metadata (data about projects) designed to facilitate easy and standardized data sharing, and to develop a common vocabulary for discussing the different components of citizen science. We suggest that a common metadata structure will benefit the broad community of people interested in citizen science, which includes but is not limited to efforts like crowdsourcing, public science, community science, volunteered geographic information, and other forms of public participation. Individuals searching for projects can be confident that results contain the most up-to-date information. While we recognize that some project databases may utilize additional fields, we hope that the fields identified as core will be embraced by all. This initiative began with the DataONE Public Participation in Scientific Research (PPSR) working group, active from 2011 to 2014. Since that time, SciStarter, Citsci.org, CitizenScience.org, and the Wilson Center have continued building PPSR_CORE to support data sharing and a shared understanding of citizen science. Together, we are submitting a proposal to the Citizen Science Association for a metadata working group with the goal of further developing a standardized vocabulary for characterizing citizen science projects. We welcome any suggestions or contributions from the community at large. Anyone who wishes to be a part of these efforts should contact Anne Bowser via data@citizenscienceassociation.org. 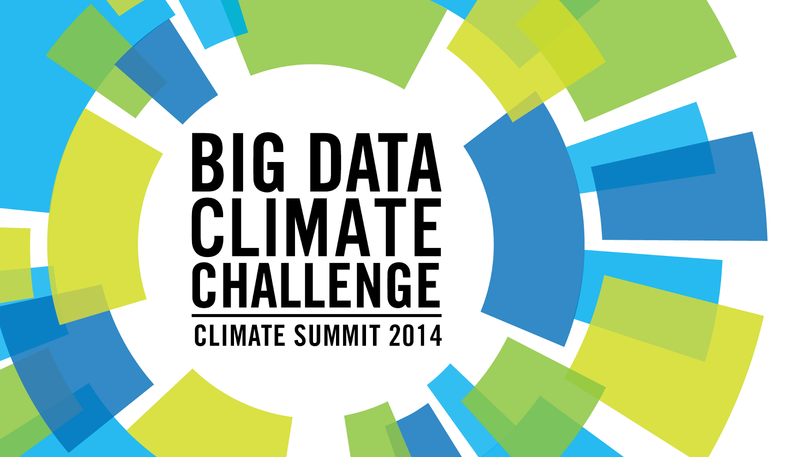 What happens when you bring together the forces of innovation, big data and climate change? The following amazing winners of the United Nations “Big Data Climate Challenge.” As the barriers to access big data drop the ability for innovation increases and the results are incredible. “The Big Data Climate Challenge is a global competition hosted by United Nations Global Pulse, an initiative of the Secretary-General on big data. The Challenge was launched in May 2014 to unearth fresh evidence of the economic dimensions of climate change around the world using data and analytics. Submissions were received from 40 countries, representing more than 20 topics from forestry, biodiversity and transportation to renewable energy and green data centers. New ways to gather data are on the rise. One of these ways is through citizen science. According to a new paper by Bailey Smith, JD, federal agencies can feel confident about using citizen science for a few reasons. First, the legal system provides significant protection from liability through the Federal Torts Claim Act (FTCA) and Administrative Procedures Act (APA). Second, training and technological innovation has made it easier for the non-scientist to collect high quality data. Disclaimer: This is a working paper to be submitted for peer review. This report should not be construed as legal advice. Groups should consult with counsel prior to adopting any of the strategies identified in this report.